Today I am going. 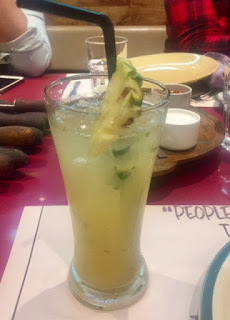 to share my review of The BBQ Factory Bar ,Grill and Banquets ,Gurgaon .The concept of a Live grill at your table much like the western concept of Barbeque has been catching on and is quite popular now especially with the Non vegetarians crowds. 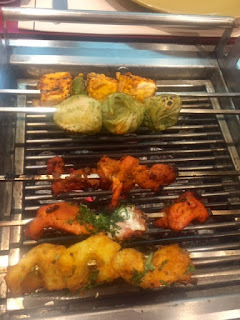 With this Niche getting crowded day by day , let us explore what the Barbeque Factory has to offer that would make it different than other bars and grills in town . 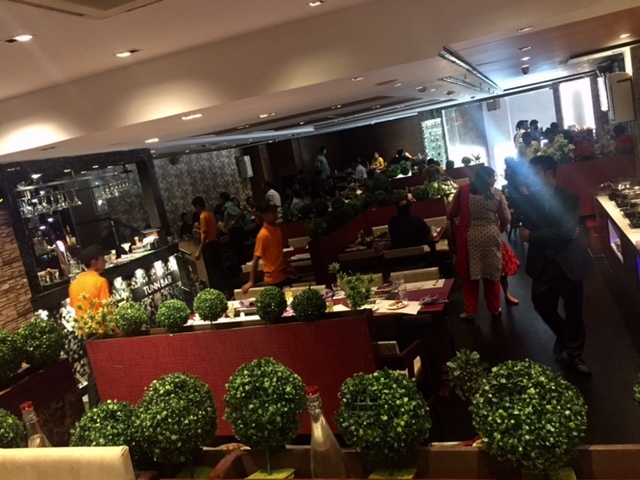 Ambience - It has a warm vibe and comfortable , cosy atmosphere which would be conducive to large gatherings .It has ample parking space and is located in a prime location in the Central Plaza Mall ,sector 53, Golf Course Road ,Gurgaon . The place was booked to capacity when I entered so I recommend booking a table in advance . 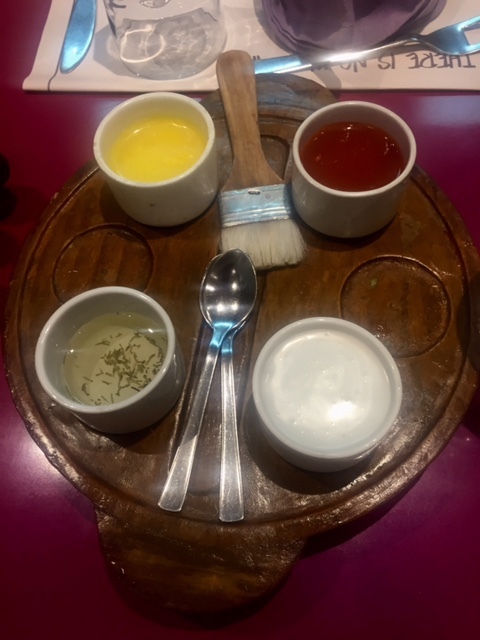 The Service - The servers were prompt ,polite and well informed . 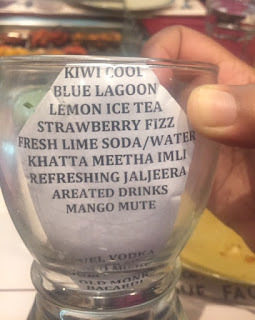 Mocktail Menu in a Glass ! The tasting session started with a mocktail - I chose a Musk melon and Khus mocktail which was quite refreshing and cooling . I also tried the lemon iced tea which was quite good and did not taste like the commercial iced tea available . 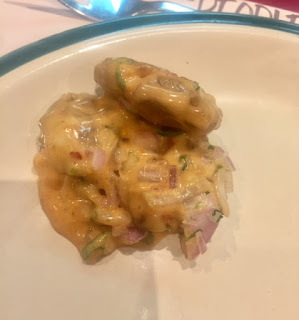 Barbeque potatoes /Veg Salsa Tater - a kind of Fried mashed potato balls and a creamy dressing - This was crisp on the outside like an Aloo tikki and had a creamy tomatoey sauce on top ,quite good in terms of texture but I do not like overtly creamy sauces . Soya Malai Chaap - The Soya Chaaps were soft and chewy and the gravy or sauce was neither very powerful nor too delicate . 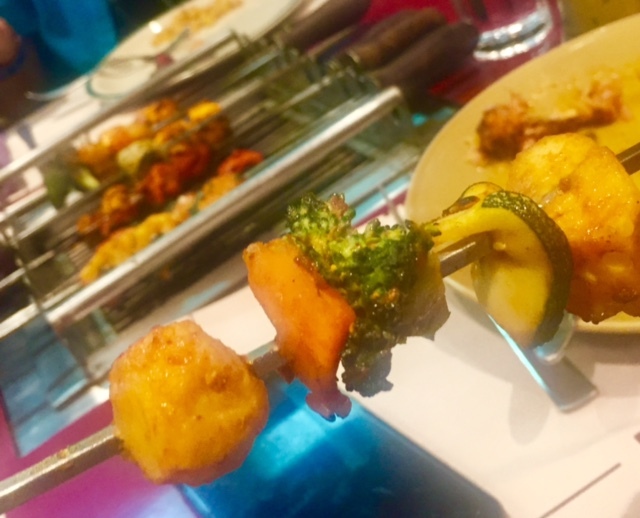 Mix Veg Seekh - This was my favourite among the starters and it had grilled pineapple ,zucchini and Achari broccoli on the seekh with a tangy marinade . 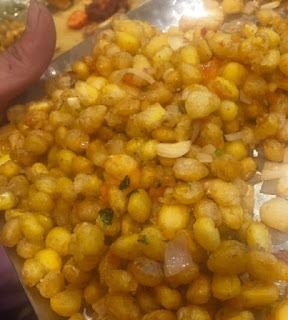 Crispy Corn - This was batter fried corn served with finely chopped onions and tomatoes .What was nice was that the onions were so fine that you could barely see them but could detect the taste . Achari Mushroom - Even though I am not fond of mushrooms ,I still liked them as they were well done and juicy . 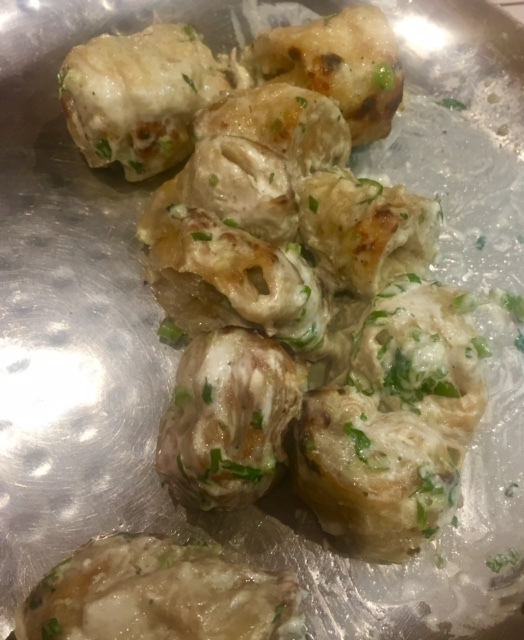 Grilled Tandoori Momos - Strangely despite the grilling , the momos were not tough on the outside and were filled with well seasoned carrots and cabbage .This too is a must try for all . Churrasco Pineapple - Whole pineapple grilled on charcoals and then sliced and served .Very juicy and nicely smoky . 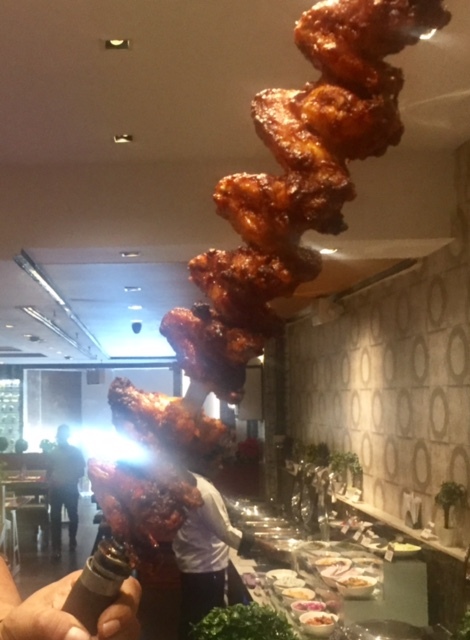 Churrasco Chicken - My partner went gaga over this delicacy , exclaiming how juicy the chicken was and how it just fell away from the bone easily ! Among the Cocktails , I tried ... hold your breath - Pushpa Behosh ( Inspired by the famous Pushpa of the movie AmarPrem - remember "Pushpa , I hate tears !" ). This was a strong mix of Pineapple juice ,Tequila,Rum, Gin and Vodka served with a slice of grilled pineapple.I felt that the pineapple juice was overpowered by the other alcohols . Vegetable Biryani ,Shahi paneer,Dal Makhani,Kadai mushroom,Kadi pakoda,Makai Palak ,Aloo Gobhi,Veg Hakka Noodles,Mix vegetables in Schezwan sauce and steamed rice . 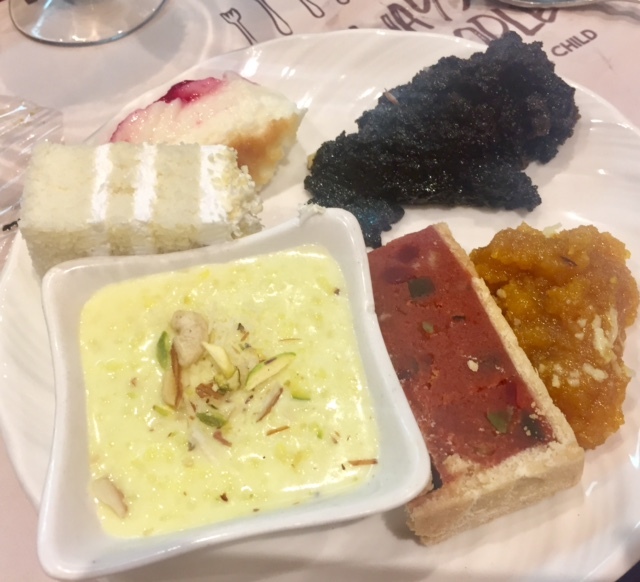 All the items were above average , the Veg Biryani let me down a bit as it was not as spicy and fragrant as I like it but the Aloo Gobhi ,Makai Palak and the Kadi pakora more than made up for it . The Mix Vegetables in Schezwan sauce were also quite good . I am going to mention the Non vegetarian menu too - Roasted Chicken in black bean sauce ,Grilled Fish ,Rara Gosht( mutton in a spicy gravy) ,Murg Lababdar ( Chicken in a creamy red gravy ), Hyderabadi Murg Biryani (fragrant and spicy rice and chicken dish ) and steamed Rice . I heard good things about the Rara Gosht from the carnivores in the group . 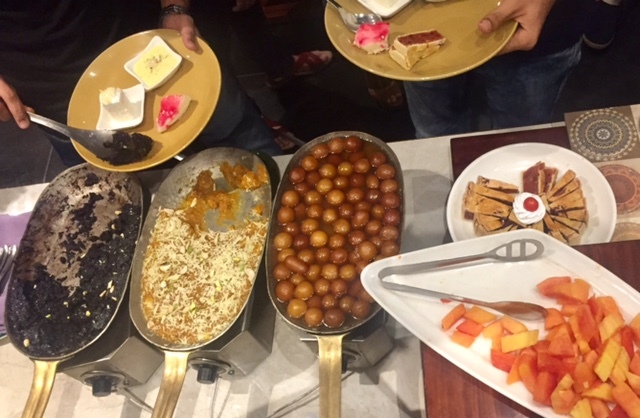 DESSERTS - The best thing about any buffet for me is the desserts ! 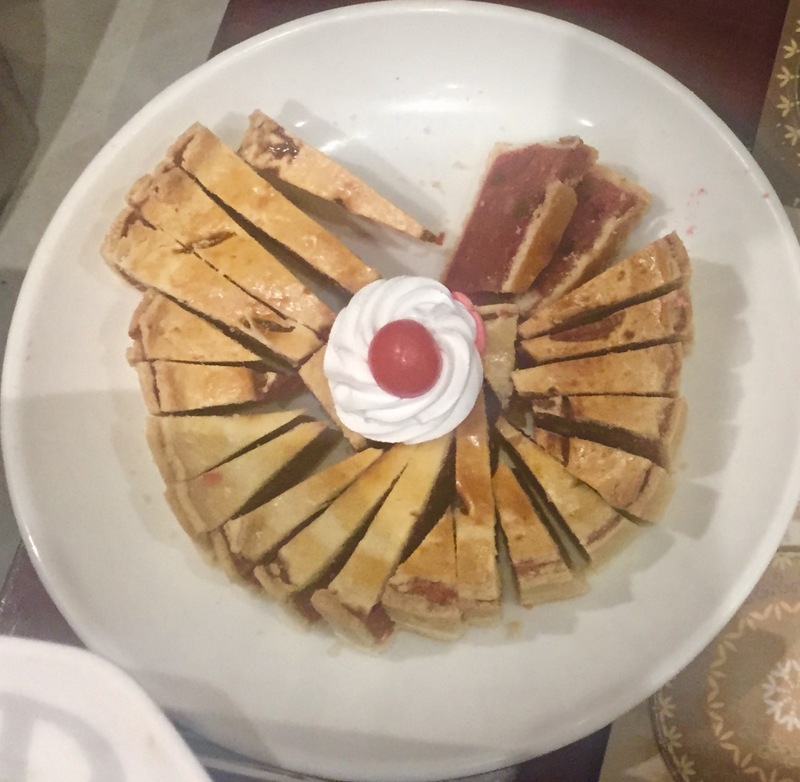 Served among the desserts were - Fresh Fruits,Gulab Jamun,Moong Dal Halwa,Chocolate Mud pudding ,Phirni ,White Forest Pastry ,Cream Brulee , Vanilla and strawberry ice creams and the Fruit Pie had a flaky ,melt in your mouth pastry with amazing flavors inside .Lovely ! All desserts were good but what stood out for me were the white forest pastry with its excellent icing and filling neither very sweet nor very greasy and fluffy texture, just light and melt in your mouth . The Creme Brulee was not heavy and very good flavor wise ,but the Brulee was missing if you know what I mean . 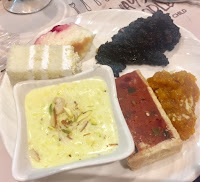 Also the Moong Dal Halwa was excellent , made in desi ghee and tasted very good . Others loved the Chocolate Mud pudding and I could see it disappearing fast but it was slightly eggy for my taste . They have a live music and a full bar available . FINAL VERDICT - I rate it a 4.1 /5. 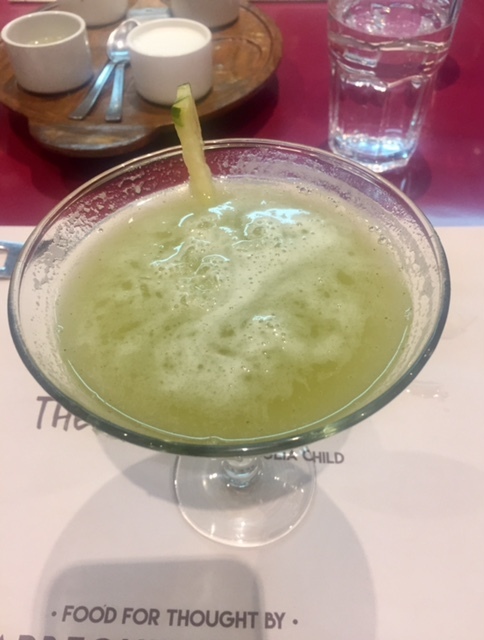 Plus marks for the great service and the warm ambience and the variety in the menu, minus marks for some dishes that could have been done better .This is a place to watch out for if the suave and talented Chef Nikhil Chopra stays put . Thank you Aditya for the kind words ! 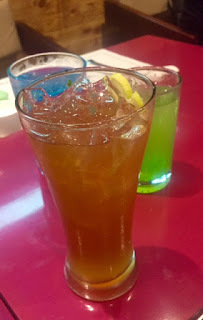 I love BBQ so much & had heard about BBQ factory, shall try out soon since I'm now a bit bored of BBQ Nation! The food is much better here ! Would love to know your views too . Yeah If you love grilled food, you will love it here and they have a full bar too . It sounds good. I am happy to see that they have vegetarian options as well. Need to check out this place. 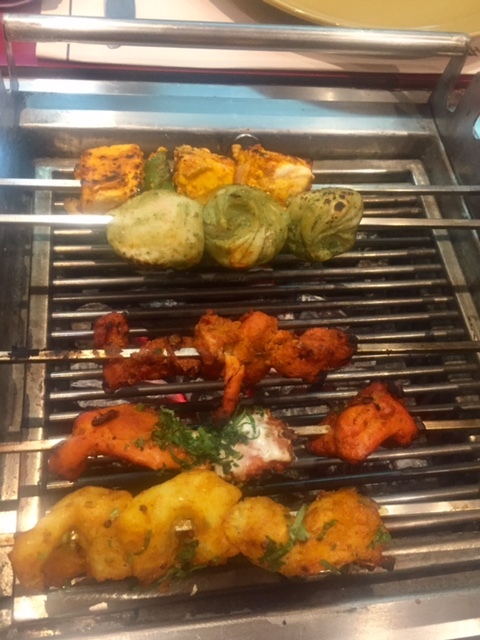 Abhinav ,they have some great options for vegetarians !